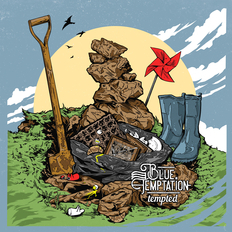 Blue Temptation | OK Listen! Formed back in 2014 Shillong based band ‘ blue temptation ’ plays a brand of blues that speaks about the many situations and circumstances that surrounds our day to day lives. The core trio consists of seasoned sessionists Shepherd Najiar, Greg Nongrum and Nathan Nongrum. Heavily influenced by the emerging scene in the country and in Shillong, blue temptation’s sound has a mixture of modern elements and a lot of that hard-working man’s blues.